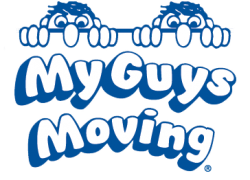 My Guys Moving & Storage of Virginia Beach and Richmond is more than just a local mover, we have experience moving both personal and business shipments internationally as well. We know that moving to or from the U.S. can be a daunting task. You may have questions about dealing with customs, filling out special legal paperwork or learning about the culture of your new home. No matter what questions or concerns you may have, our international moving experts are here to ease your transition. 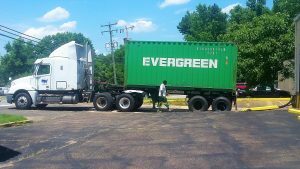 If you’re planning on moving overseas, either to or from the Virginia Beach area, count on the international moving experts at My Guys Moving & Storage. We have handled moves to many different countries around the world, including Germany, the Netherlands, the Philippines, Puerto Rico and several countries in South America. We have experience assisting in any stage of an international move. We can assist in handling and preparing shipments for air freighting and crating goods into overseas containers. We have experience in loading “lift-van” crates, specially built crates for international moves, and special tri-walled cardboard boxes for airfreight shipments. My Guys Moving & Storage is always prepared to assist with any international move, no matter where it begins or ends. At My Guys Moving & Storage it is always our policy to arrive on moving day with a solid plan. To accomplish this, we will come out to complete a comprehensive survey (in person or video) before we begin your move, so we have a plan in place and all the materials necessary on your move day This is especially effective when moving overseas, where good planning will save you time and money. Our international relocation specialists have over 25 years of experience and will stay with you until this last box is unloaded at your destination. If you need a place to store some of your possessions until they are ready to ship, our climate-controlled storage warehouse offers the perfect accommodations. My Guys Moving & Storage is an interstate agent of Stevens Worldwide Van Lines, an ISO 9001 certified international moving company. This means that we have connections to the resources and tools of an industry leading international moving expert with the attention to detail and personalized service that comes with choosing a local mover. Stevens uses its 110 years of experience and its 350 moving agents around the world to help us serve you.